Nice game. Wasted hours on it. Decided to keep to playing over a few weeks until I earned the Golden Ember Blade at Level 100. Guess what happens who you reach Ultimate? The level-up ninja star indefinitely spins over "100". As for access to the Golden Ember Blade? DENIED. I'm still locked out. So you have to pay $9.99 no matter what if you want it. Otherwise 5 star game. But I have to deduct a star on this (and I refuse to pay the fee on principle). Probably this is not relevant to most who play the game, but this was a little frustrating. No iMessage App in paid version? 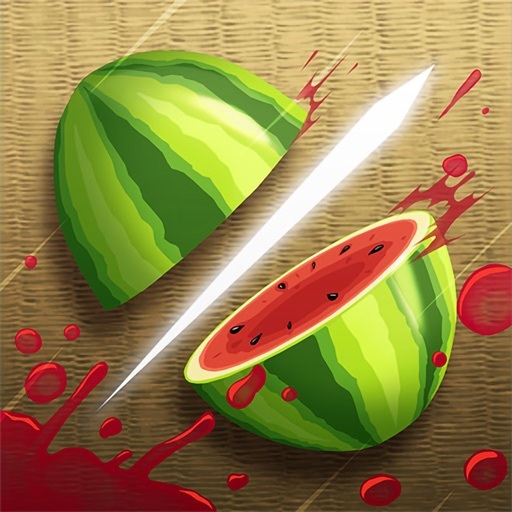 While searching for iMessage apps I discover that the free version of Fruit Ninja has one, but the paid for version doesn't? So I have to have both installed if I want an iMessage app? It's been a few years since I've booted this game up. Game loads and I notice that my profile pic is LITERALLY corrupted. I became curious and decided to open it. Came crashing to the floor. Now whenever I try to reload the game itself, crashes as soon it's done loading. I don't know if I'm poor for using an IPhone 4th gen or the problem persists with others. I'd seriously appreciate the feedback on the matter. And yes, I've tried rebooting the phone and reinstalling the game multiple times. - indyana8965. GUYS ITS SO COOL IM MAKING A SECOND REPORT ON THIS APP IM IN LOVE ITS SO COOL 😎 AND FUN 😛 #I ❤️ 🍉NINJA! I love the roster of fruits to slice and dice! How about sending us more fruit, like the olive? Why did you even bother changing the theme of this game? The old theme was better. What's with all the new characters? If you bought the full version, don't wait for updates. If you are thinking of buying this version, don't as it appears it will not see significant updates. All efforts are clearly directed toward the freemium version hence the new "classic" designation in this "bug fix" update and the freemium version getting a new name.